When I was a little kid, I hated split pea soup. HATED it. In fact, my mom has a story about how much I hated it that she likes to tell. She wrote about it in a comment on one of my posts, but essentially it goes like this...my brother was going to make me split pea soup for lunch one summer day. I called my mom at work, crying about how he was going to make split pea soup. Waaah! My mom asked my brother to make something else for lunch. Situation solved. That phone call gave my mom and her co-workers quite a laugh though. Not just that day, but for years to come long after I'd grown up. Our boy? 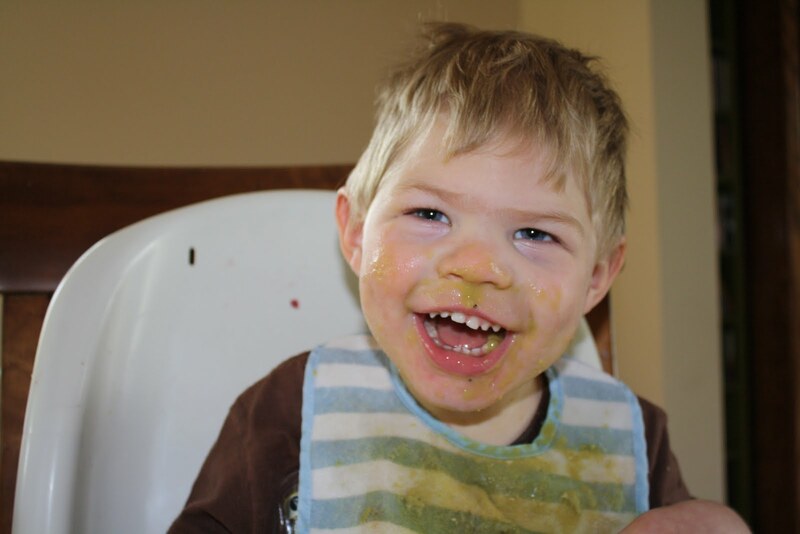 Unlike his mother, he's a fan of pea soup. These days for a full eating experience, he likes to stick his face in his food. 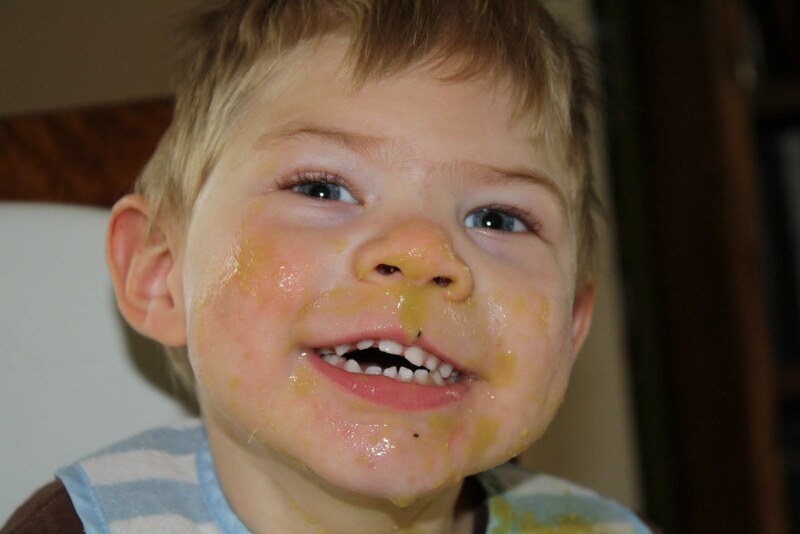 So, what we have here is split pea soup face. Once in awhile, when I'm feeding Elijah, I'll take a little taste of his soup. And you know what? It's not half bad. You won't see me eating a bowl of it any time soon, but hey, I don't HATE it anymore. Just one more thing that our little boy has taught me. Not the first thing and certainly not the last. Way to go Elijah. A man, after my own heart. I don't know if their is a split pea soup and a "Green Pea" soup, but the can in the cupboard at my house says Green Pea. Its a male tradition, I guess at this house. Grandpa Dennis, Uncle Dan and Elijah all love green pea soup. These days, I pretty much look closer at my soup and end up with pretty much the same result as Elijah. I am already thinking about lunch. Oh Lisa, that is so funny! Hey he's not picky, right? 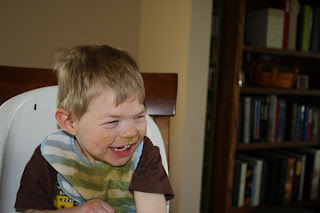 I had a similar hatred of green beans and still do. Just the smell of them is enough to make me sick at my stomach! LOL! 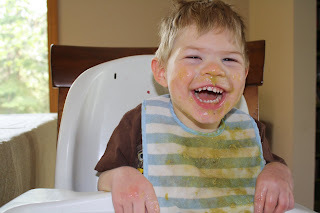 I'm glad you let him eat as he pleases...mess and all. That's a hard one for me but I'm slowly getting better! He's a cutie, even behind pea soup!